Boeing has awarded Mincham Aviation a contract to manufacture four assembly-spare-part sets for the CH-47 Chinook after the South Australian company was identified during recent Boeing Office of Australian Industry Capability (OAIC) conferences. The OAIC works directly with Boeing’s major business units and key suppliers to coordinate supplier visits, industry conferences, and provide mentoring and training for selected Australian small to medium enterprises. 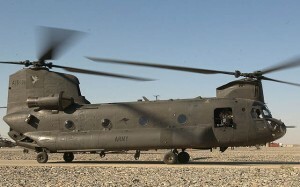 Details about the CH-47 contract were not disclosed.